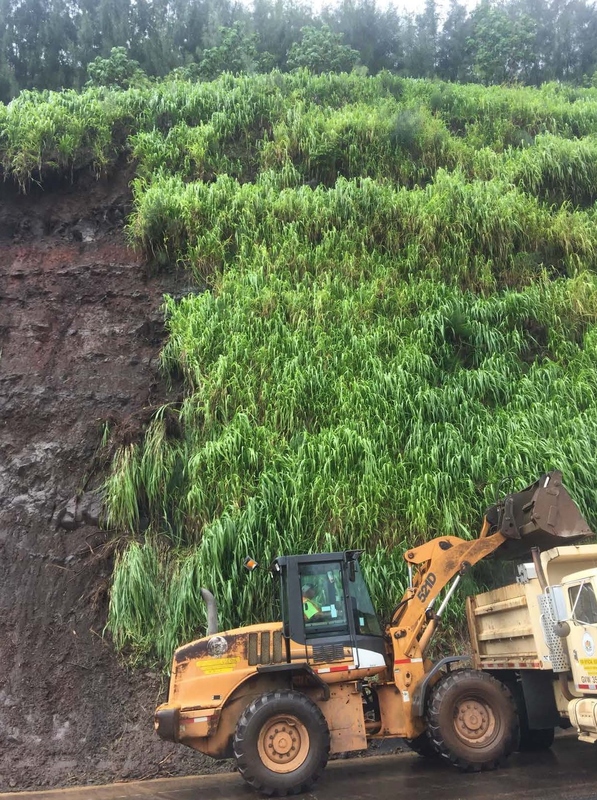 HILO – The Hawaii Department of Transportation (HDOT) advises Big Island motorists of a 24-hour lane closure on Hawaii Belt Road (Route 19) in the Hilo-bound direction between Old Mamalahoa Highway and Jardine Road for slope stabilization. The emergency lane closure is due to a rockslide that shut the lane down on Tuesday morning, Oct. 6, at 2 a.m., and the closure will last through Sunday night, Oct. 11, at 10 p.m. Work will be performed daily from 7 a.m. to 5:30 p.m. The northbound lane will remain open to motorists as an alternating contraflow lane for traffic in both directions. HDOT maintenance crews will be assisting the flow of traffic during a 24-hour period until the closure is lifted. Traffic will be alternating in 5-minute intervals. During the closure, crews will perform slope scaling work as a preventative measure to minimize the likelihood of future rockslides. Concrete blocks and steel plates will be utilized as safety procedures to protect the public and pavement surface from rock or other debris that become dislodged from the slope. The debris will be removed from the site and properly disposed of. The ongoing roadway improvements on Hawaii Belt Road in Kaawalii Gulch will continue on Monday, Oct. 12, through Friday, Oct. 16, daily, from 8:30 a.m. to 5 p.m.
HDOT advises motorists to allow for extra travel time and drive with caution through the work site. HDOT thanks the public for their patience and understanding. 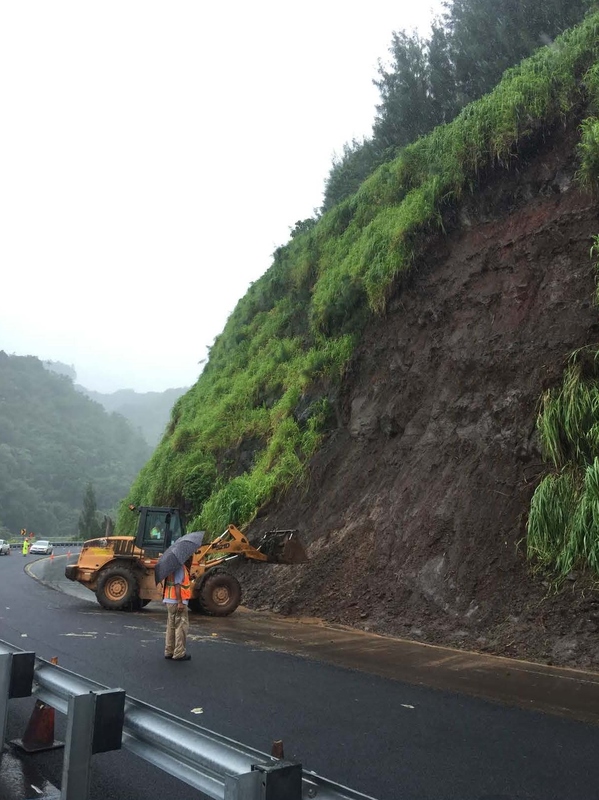 Construction crews stabilizing the slope by removing loose rocks and debris for the emergency work at Kaawalii Gulch. Potentially hazardous debris being disposed of to ensure the safety of motorists.